I recently came across a biographical profile about a winemaker who had his first taste of wine at age 30, during his first Saturn return, and yet didn’t plant his first vineyard for 15 more years. This is a great example of one of the first Saturn return variants (listed in this article about the first Saturn return), when someone finds a new direction at that time. It then can sometimes take them longer to develop that new interest than if it was something that one was already working towards in their twenties. This story was also a good example of how the meaning and activity of one’s Saturn placement unfolds as it moves through the entire cycle. Paramdeep Ghumman was 30 years old in 1981 and flying from India to Australia to immigrate and begin working in IT for IBM. During that flight, he tasted (grape) wine for the first time ever, and was immediately entranced with it. Saturn was transiting through Libra during all of 1981. 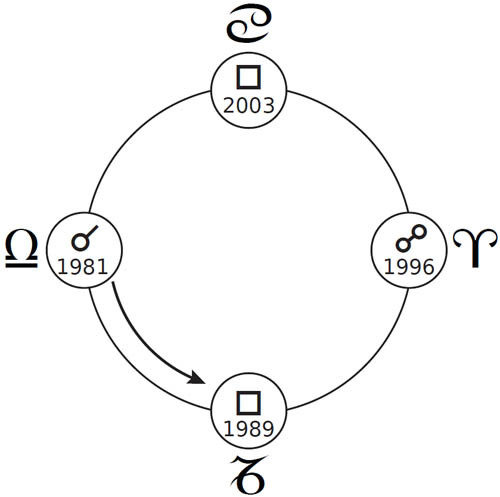 (You can see the entire Saturn cycle depicted in the diagram below.) However, it wasn’t until 1989, while tasting a particular wine with a ‘wine nut’ friend, that Ghumman decided to make wine himself. Saturn was in Capricorn during all of 1989, forming the first quarter square. It isn’t clear why in the news article, but he then didn’t plant his first vineyard until 1996. 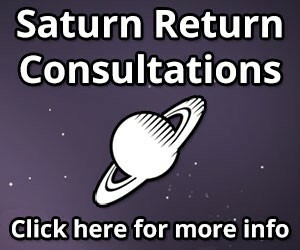 Saturn was forming the opposition in Aries for most of 1996, from April through the end of the year. 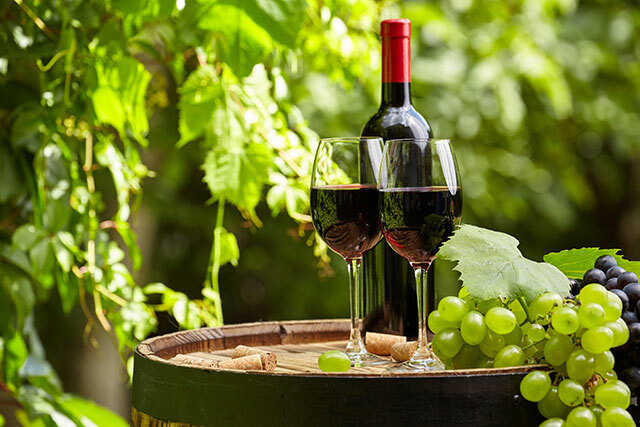 Since that time, Ghumman has grown his passion for wine into a full time vineyard, Nazaaray Estate Winery, and a number of his wines have won national and international awards. Saturn is now back in Libra, as it was when he sipped that first fateful drink en route to Australia. It isn’t clear yet how that second Saturn return is being expressed, but Saturn still has a year left of its transit through Libra. There was an allusion in the article about him recently changing his pinot noir fermentation method, and that he considers the 2009 pinot noirs that will be released this coming November his best yet.